This may be the epitome of a hipster haven, but you can’t beat a local, organic coffee shop that has free coffee on Fridays! Brewing and selling only Fair Trade beans, Bicycle Coffee Co, is committed to doing well by their fellow human and the environment that supports us. Their to-go packaging is all biodegradable and wholesale purchasers get their orders delivered by bike. If you’re a super fan, you can purchase some of their bike gear or coffee cups. For all your classic American breakfast cravings— and some— you can’t go wrong with the Oakland Grill. Welcomed by a simple, warm, well-lit setting, you’ll get to pick from a wide variety of creative dishes, including a Crab Cake Eggs Benedict that gets raving reviews from both newbies and long-time Grill fans. 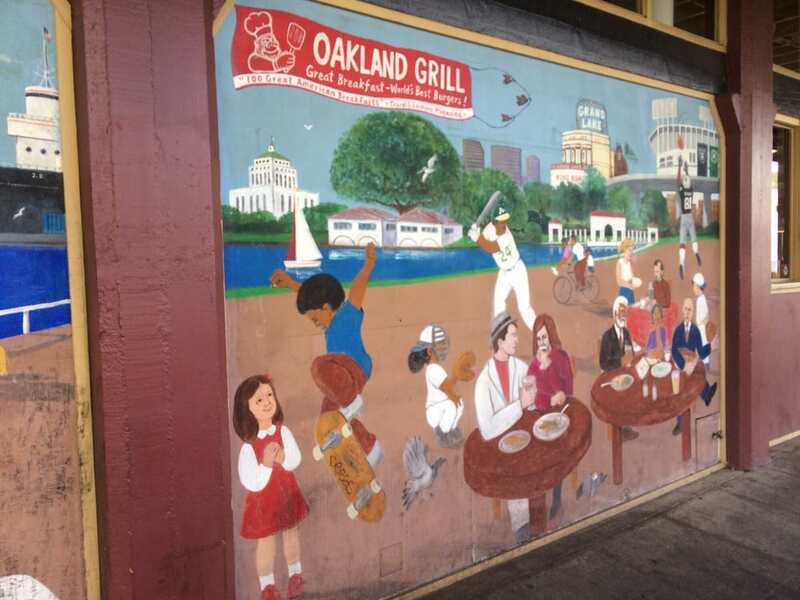 Beware that the Oakland Grill tends to be a popular weekend brunch spot— but while you wait, you’ll enjoy meandering the nearby streets, filled with colorful fruit stands and the earthy aroma of freshly brewing coffee. If coffee is a must to start your day, or help you get through the afternoon, then stop at the Bay Area infamous and native Oakland, Blue Bottle Coffee. 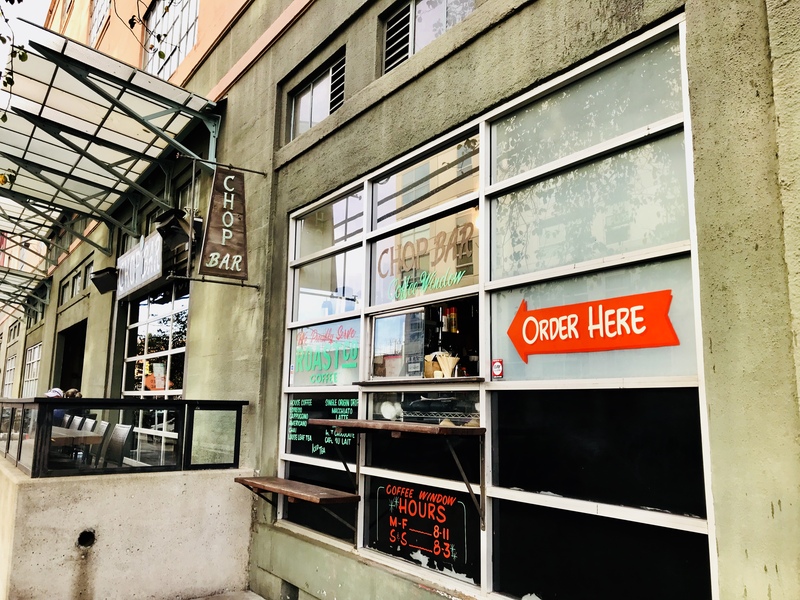 This location provides a modest rotating coffee selection and prepares a fresh spread of small bites from a small pastry kitchen. If you find yourself in the area on a Sunday morning the shop hosts coffee cuppings, go see what it’s about! If you’re looking for something fresh and simple head to Sierra Deli & Market. They’ve got a selection of hot and cold sandwiches, burgers, salads and other deli staples, but the popular lunch pick is the Banh Mi. Whether you’re going to dine in or take out, you can browse their market section which offers a number of grocery items, including beer and wine. Need a good BBQ fix? The spot is Everett & Jones and their lunch specials. Lunch portions are filling without sending you back to work with the dreaded meat sweats. It’s a popular joint that’s been known to see more than a handful of celebrities walk through the door. In the evening, there is often live music and people gather to watch sports in the bar area. It may not be the quickest meal you’ll ever have, but slow food means slow cooked, and there’s no other way to do BBQ. The idea for this restaurant came from the West African bar/restaurant scene where community members meet to talk, share news, and enjoy themselves over a meal or beverage. Chop Bar recreates this environment with their New American style menu, offering something for every palate and all types of conversations. Stop by for lunch and break bread with your fellow Oaklanders. This tiny shop makes up for its small size with a large menu. If it’s your first time, take a look at their online menu, because when there’s a line, there is little time for decision making before you reach the counter! i-Tea makes their Boba teas customizable so you can choose your own level of sweetness and ice in their one-size only drinks. Make sure you bring cash with you as no cards are accepted. If you forget, there are a few ATM’s in the area. 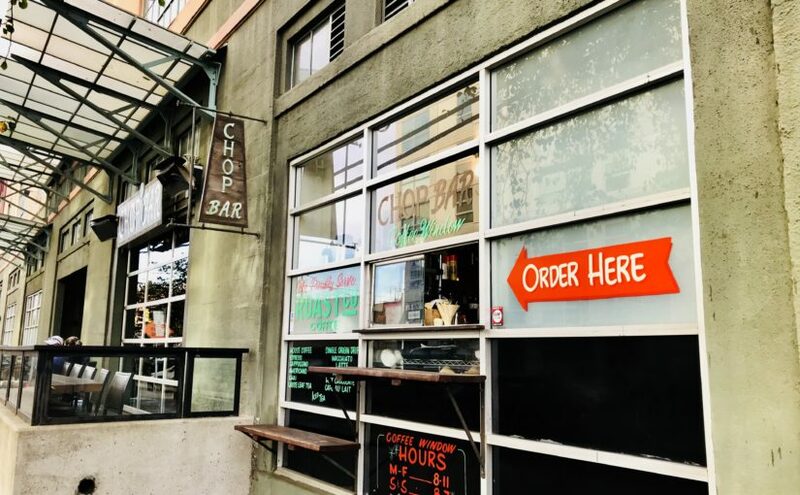 Housed in a historic building just off Jack London Square, this restaurant has been open since 1970. Here a great atmosphere is coupled with a menu inspired by the owner’s Mediterranean ancestry, speckled with American classics. 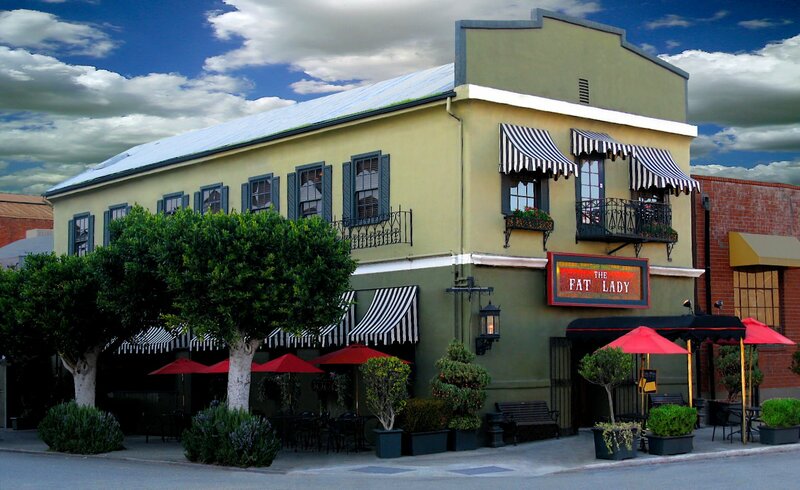 Although normally a popular dinner option, The Fat Lady has a mid-afternoon menu curated for the time when a snack feels more appropriate than a meal. When you find you have some time before your next train and are craving some ambiance, try Forge Pizza. Located on the water, this renovated warehouse is a lovely spot to sit and enjoy Oakland’s waterfront. The menu is simple enough with pizzas, salads, and appetizers but the best deal is taking advantage of Happy Hour. You’ll have a beautiful view, a drink, maybe a pizza for the table, and hopefully good company to enjoy your afternoon nosh. 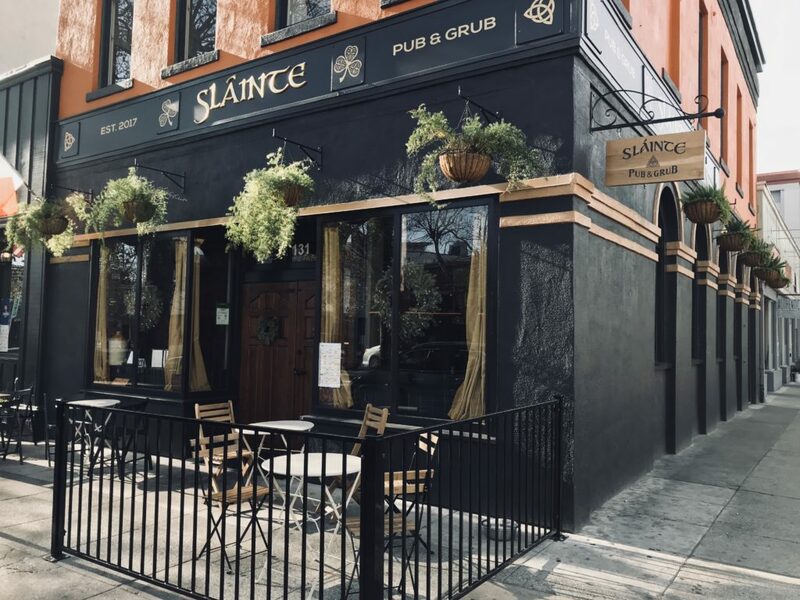 New to the Jack London restaurant scene this Irish Pub is quickly becoming a local’s go-to. Sláinte, which means good health or cheers in Gaelic, offers a traditional pub experience for patrons. The food is hearty, and of course it wouldn’t be a proper Irish pub without a broad selection of Irish whiskeys. There is often live music, a weekly trivia night, and Happy Hour specials Tuesday through Sunday. With a hip atmosphere and fresh, seasonally inspired, high-end Mexican cuisine, Nido is worth a visit. The menu is small and keeps close to traditional Mexican recipes, but can’t resist adding a bit of California flair. This is a great spot to meet friends or bring a companion as the dinner menu focuses on small, sharable dishes. Along with a full cocktail menu, they also offer mezcal for those who enjoy the smoky cousin to tequila. This low key restaurant is giving the beloved Burmese Superstar a run for its money as best Bay Area Burmese. Grocery Café has recently relocated to Jack London Square, but still exudes a family-owned feel and gracious hospitality from the owner. With an updated space regulars are now enjoying an expanded menu. Not only does the food get rave reviews, but portions are great so you should have a little extra to take home, if you can exercise some self-control! For riders who find themselves disembarking at OKJ on one of the last trains of the night, you can still find some good comfort food at The Home of Chicken and Waffles. Specializing in the delicacies of the south, the menu includes collard greens, cornbread, red beans, and of course their namesake dish. Open till midnight with a full bar, this is the place to be late night when bar nuts just won’t hold you over till breakfast. You’ve probably heard of Yoshi’s, and that’s for good reason. Dinner and a show is what this place is about. Known as an intimate Jazz venue, it has expanded over the years to feature performances from a variety of musical acts. You can start your experience with dinner, a Japanese and Asian fusion menu, and a full bar for those who really want to make a night of it. Reservations are encouraged, especially to avoid waiting, but walk-ins are always welcome. Frequented by Jack London himself Heinold’s First and Last Chance has been in business since 1883. It’s the kind of place that opens and closes when it wants, no frills, just serving beer and booze as they always have. There is a whole wine trail you can follow in the Jack London area but Dashe Cellars is a lovely spot to stop if you can’t see them all. Started by a husband and wife, the urban winery is rooted in love, and strives for that love to come through in their wines. The space is modern, with an unassuming tasting room inside, and when open during the spring and summer months, hosts an outside ‘Wine Garden’ for picnicking, tasting, and socializing. Open to the public, they are also a popular location for private events. Stop by the tasting room and you might catch some live music! This is a bar for those who need more than just a little chatter around the happy hour table. Plank is where adults can go to play. With a full bar and restaurant, you can eat and drink anywhere in the establishment. They have a bowling alley, arcade room, bocce ball, and billiards, so there is something for everyone. On a nice night it’s a lively place to enjoy a beverage and watch the sunset on the estuary. With a nice selection of draft beers, specialty cocktails, and wine, Fort Greene is a great place for all types of patrons. The bar has recently been revamped but still offers a relaxing place to grab a drink or a nosh from their small food menu. They also have TV’s for game day and decent music for those who aren’t sports fans. If you have a love for Zinfandels then you can’t miss Rosenblum Cellars. For forty years they have been crafting award winning Zins from California vineyards and creating a wonderful space for patrons to enjoy a glass while overlooking the bay. Okay, this bar is a tad bit over the half mile mark, but it’s worth the extra tenth of a mile. The Trappist is an Oakland favorite for Belgian style brews and other specialty beers. The bar has an old school European feel and a small back patio. Their menu items are crafted with beer in mind so whatever you order will complement your drink. Is there anything better than cookies and ice cream? How about ice cream inside of freshly baked cookies?! 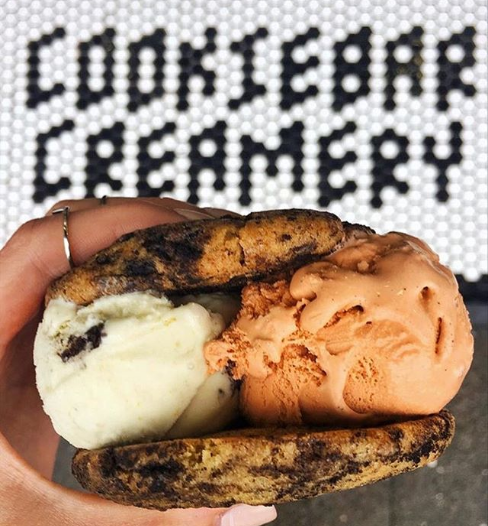 Cookiebar Creamery doesn’t offer your everyday vanilla and chocolate (actually, they do have vanilla), but rather takes you to an ice cream land where Vietnamese coffee or fruity pebbles might be the flavor of the day. Their cookies keep a bit closer to classic ingredients, but do not fall short in deliciousness. Now this household brand doesn’t need much explaining – Ben and Jerry’s ice cream is rich, delicious, and famous. 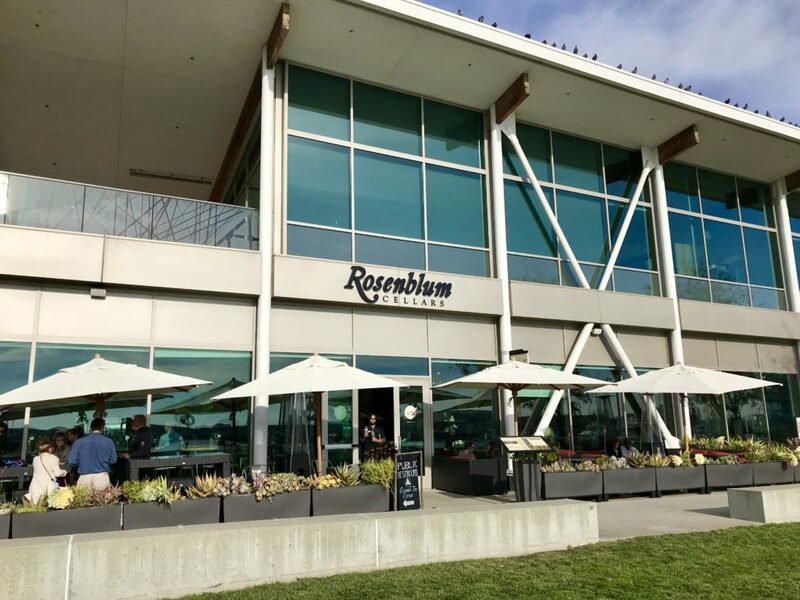 With an ice cream shop located in Jack London Square, it will be hard for any sweet tooth to walk by without indulging in a scoop.